A high performance intensive cleaner for stripping and cleaning of vitrified glazed ceramics, travertine, natural stone, sandstone, slate, marble, granite, terracotta, quarry, brick, concrete, external paving, terrazzo and other mineral floors & walls. 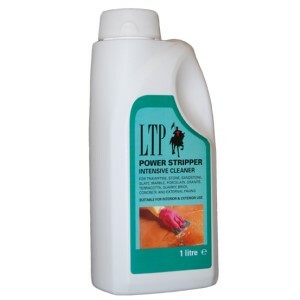 Helps remove oxidised linseed oil and other mineral oils. Product should be tested in an inconspicuous area to establish colour fastness and to determine optimal dilution. Re-seal will be necessary following use of this product. Must follow manufacturers instructions for safe use of this product.